Zachary is a Freshman in High School and has gone through so much in his short 15 years. He was born with a heart defect and had open heart surgery at 6 days old. At 18 months he was diagnosed with liver cancer and had his first liver transplant at 21 months of age. Zachary was on a bypass machine at birth before his heart surgery and strong chemo drugs before his liver transplant, therefore, Zachary has lost a good amount of his hearing and has a cochlear implant and hearing aids. Due to complications after his first transplant, he had a second transplant at 7 years old. Zach had a quiet couple of years then a year and half ago he started developing ascites, fluid around the abdomen, with no apparent reason. 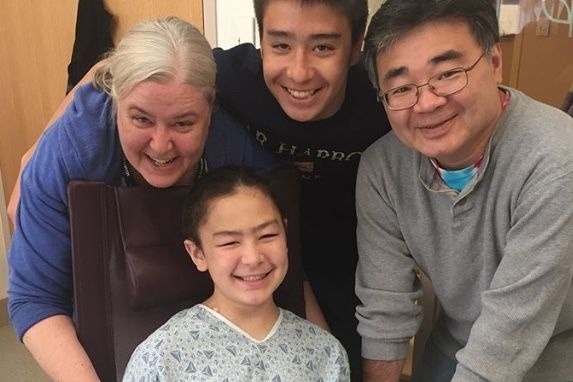 In June 2018, while trying to enjoy his 8th grade field trips, he was diagnosed with PTLD, Post Transplant Lymphoproliferative disease. That's a fancy term for cancer that post transplant patients can get due to immune suppression. Zach was treated for Burkitts Lymphoma, a very fast moving cancer, and spent the whole Summer and most of Fall at Children's Hospital Boston. He finished treatment in October and just recently was diagnosed with a relapse. This round of chemo is very strong and he has already been in the hospital since the middle of February with side effects and fevers. From what doctors are saying it is going to be a long road for him. A relapse is rare and needs to be treated aggressively. Zach's mom, Sheila, has been by his side every step of the way. Due to the prolonged stay at the hospital this time around, Sheila had to put her job on hold, and then remove herself from it entirely. Sheila is also away from her husband and Zach's father, Cam, and brother, Max. As you can imagine, this puts added stress into an already stressful time. This GoFundMe page has been created to alleviate as much financial stress as possible so that the family can focus on what's most important: Zach.